Step by step guide to Backup and Restore Data on Microsoft Lumia 535 Windows Phone !! If you are new to Windows phone and have recently purchased Microsoft Lumia 535 Dual SIM Windows Mobile smartphone then obviously your first priority would be to know the process to back up and restore data on Microsoft Lumia 535. Because you will never wish to accidentally lose the files, data, or settings etc of your Lumia 535 smartphone. Although, the procedure of backing up and restoring data on Microsoft Lumia 535 is almost similar to other windows smartphone but if you don’t know the exact method to back up and restore data then it might be a very tough situation for you. Previously, I have already shared several Microsoft Lumia 535 tutorials on Zerodollartips like how to change ringtone on Lumia 535 and how to take a screenshot on Microsoft Lumia 535 smartphone etc. 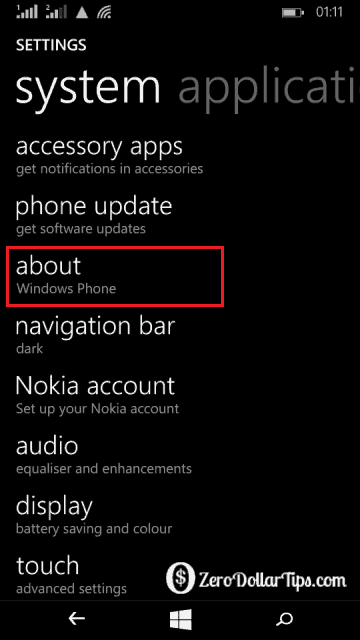 Important Note: You must have a Microsoft account to back up your Windows phone. Step (1): First of all, go to the start screen and swipe down from the top of the screen then tap ALL SETTINGS option. 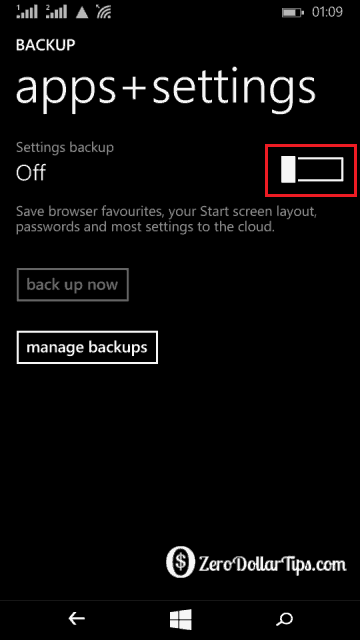 Step (2): Under the Settings section, find backup option and tap on it. Step (3): In case, it asks you to sign in to your Microsoft account then just sign in using your Microsoft user id and password. 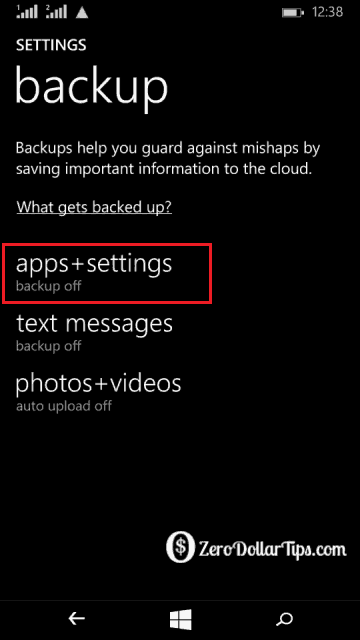 Step (4): Now, you will be able to see the backup options (apps+settings, text messages, photos+videos). To backup apps and settings, tap on apps+settings. Step (5): Next, turn on Settings backup. Step (6): Finally, tap on back up now option. That’s it! You can also set your Microsoft Lumia 535 phone to automatically back up your app list, settings, and text messages. But to automatically back up your future videos or best-quality photos, your Windows phone should be connected with WiFi. Step (1): At first, Sign into your Microsoft account. Step (2): Go to the start screen and swipe down from the top of the screen then tap ALL SETTINGS option. 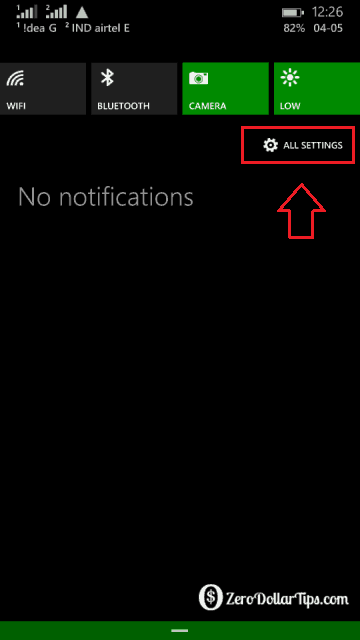 Step (3): Under the Settings section, find about option and tap on it. Step (4): From the about page, tap on reset your phone. Step (5): Once the backed up data is restored successfully. 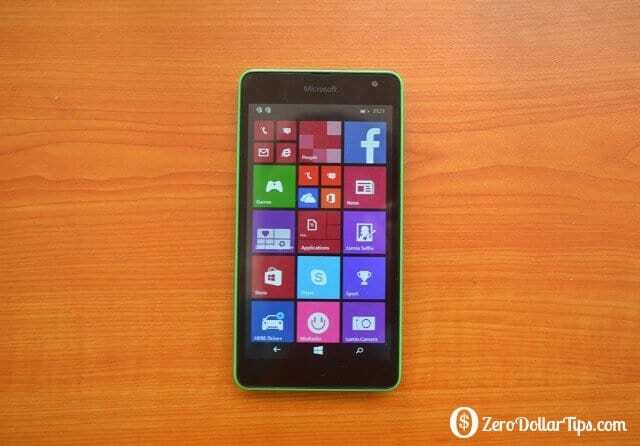 You will be able to freely enjoy your apps and settings on Microsoft Lumia 535. Thus, you can see how simple is the process to back up and restore data on Microsoft Lumia 535 Dual SIM Windows Mobile smartphone. Try it on your Lumia 535 phone and feel free to share your view with us. 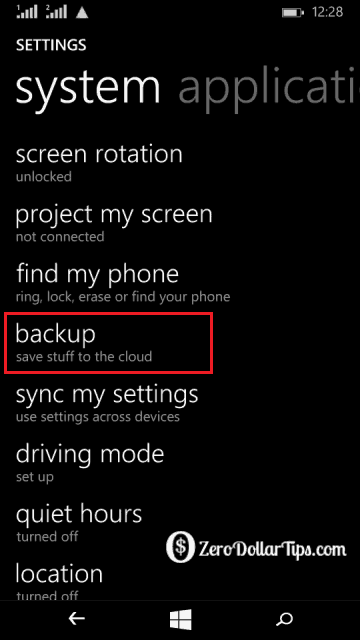 Did you like the guide “How to back up and restore data on Microsoft Lumia 535“? sir can i get a deleted vidioes my microsoft 535 phone..those vidioes are not in the backups..